Too bad he’s going to die...Since coming to Crossroads, Oklahoma, former outcast Aden Stone has been living the good life. Never mind that one of his best friends is a werewolf, his girlfriend is a vampire princess who hungers for his blood, and he’s supposed to be crowned Vampire King – while still a human! Well, kind of. O...MG. I loved Intertwined. It was a lot different than any other young adult book I've read, and it was full of all sorts of paranormal creatures, which was awesome. 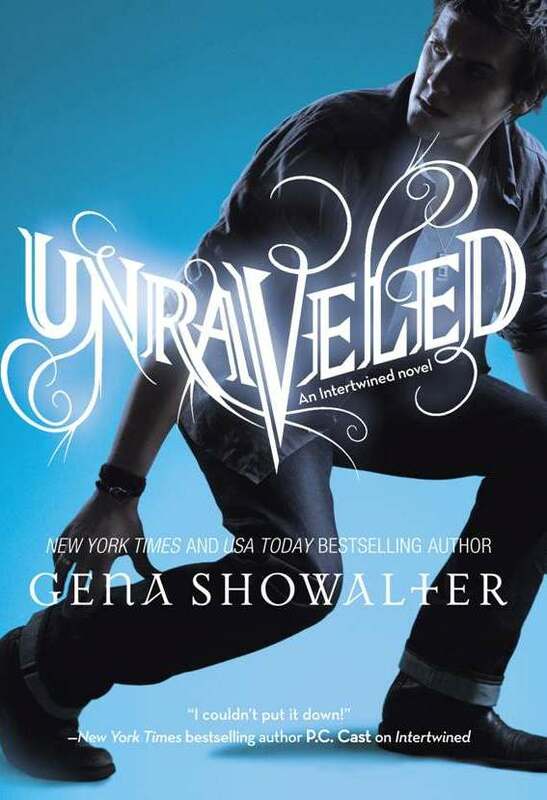 I really like this cover for Unraveled, in fact, I like it MORE than the Intertwined cover! Go check out my review for Intertwined! I'm just as excited for you for this book too. Oh I loved Intertwined too! GREAT choice!! I haven't read Intertwined, but I do love Gena Showalter's writing. Thanks for putting this series on my radar! Gena Showalter YA = awesome!